These unique handmade pieces are designed to fulfill the optimum choice of style and comfort, they work their magic in every room in your home. 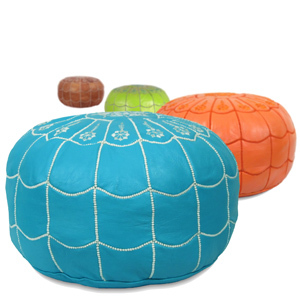 These poufs can greatly enhance and coordinate the look in your existing space. They are definitely used for decoration but they also have a practical purpose as well. They can serve as an additional seating without taking as much of a space and they will absolutely fit in with your decoration. And with our wide range of colors, we will be able to help you find the right choice you are looking for.